Louis J. “Lou” Ferrucci, 74, Altoona, passed away Thursday at UPMC Altoona, surrounded by his loved ones. He was born in Altoona, son of the late Nunzio J. and Dorothy L. (Iachini) Ferrucci. Surviving are his wife of 51 years, Bonnie E. (Swope); four children: David N. (Suzanne) of Phoenix, Ariz., Louis J. Jr. (Dana) of Leba­non, Anthony R. of Hunting-ton and Nicole M. (Ryan) of Altoona; eight grandchildren: Alicia, Chandra, Mason, Leila, Lila, Gabriel, Emma and Elliana; and a great-grandchild, Charlotte. Lou was a 1962 graduate of Altoona High School. He received vocational training in Williamsport. He also served six years in the National Guard. 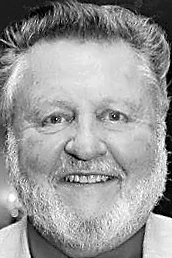 He enjoyed a long career in construction, starting out with his longtime friend and business partner, Tom Fahr of Ferrucci and Fahr Masonry Contractors. Lou had the honor to work with his friend Bill Campbell on many projects, including construction of the Maple Hollow Townhouses. Lou spent the majority of his career as a superintendent for Ralph J. Albarano & Son, where he had the honor to work for his friends Ralph and Robert Albarano for many years. He was a member of Our Lady of Mount Carmel Catholic Church, Altoona, where he served as a member of the choir and canter for the church. He was also a member of the Blair Concert Chorale. Lou enjoyed spending time with his family, especially his grandchildren and great-granddaughter. He also en­joyed spending time with friends and playing bocci at the Buccinese Club. He en­joyed spending time outdoors, gardening, hunting and motorcycling. Friends will be received from 1 to 4 and 6 to 8 p.m. Sunday, Dec. 2, 2018, at Santella Funeral Home, Altoona, where a vigil for the deceased will be held. A funeral Mass will be celebrated at 10:30 a.m. Monday, Dec. 3, 2018, at Our Lady of Mount Carmel Catholic Church, Altoona. Committal will be at Calvary Cemetery, Altoona. In lieu of flowers, contributions in memory of Lou may be made to Our Lady of Mount Carmel Organ Fund 806 11th St., Altoona, PA 16602.